KiptonART is searching for 20 finalists to compete for KiptonART Rising 2011 to debut in New York City on October 5, 2010. 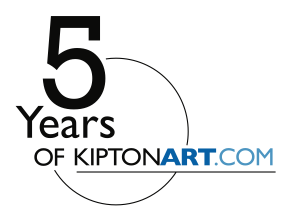 To Qualify, complete the following steps by July 31st and Register here - http://www.kiptonart.com/kipton-art-rising. ABOUT KIPTONART RISING: Launched in December 2008 in Art Basel Miami, KiptonART Rising is an annual program where 6 up-and-coming artists are selected by our Curatorial Team. Over the 12 months following the announcement of the winning artists, KiptonART devotes time, energy and resources to enhance visibility and facilitate introductions into the art world. Launched in December 2008 in Art Basel Miami, KiptonART Rising is an annual program where 6 up-and-coming artists are selected by our Curatorial Team. Over the 12 months following the announcement of the winning artists, KiptonART devotes time, energy and resources to enhance visibility and facilitate introductions into the art world. Since the November 2009 announcement, the 6 KiptonART Rising 2010 Winners, were given multiple opportunities of exposure including the debut event at SAKS Fifth Avenue, New York on November 2, 2009, an exclusive opportunity at Longchamp in Soho, New York on November 6, 2009 and a solo exhibition in May 2010 at James Salomon Gallery in Chelsea, New York. To learn more about the benefits of FREE and PAID Artist Memberships, click here - http://www.kiptonart.com/kipton-art-rising or email info@kiptonart.com. Jade Doskow, Sabina Forbes II, Naho Kubota, Eric Klemm, Joyce Lee and Serge Strosberg. Kiritin Beyer, Julie Combal, Bon Duke, Emily Korman, Avery McCarthy and Matthew Satz. Daniel Cooney has over 15 years of experience as an instructor, gallerist, curator and auction specialist. He holds a Bachelor of Fine Arts degree from the State University of New York at New Paltz and a Master of Fine Arts degree from the University of Illinois. He taught photography at the University of Illinois for three years and has lectured widely on contemporary and historical photography. He began his career at the James Danziger Gallery and continued as Associate Director of the Julie Saul Gallery. He was also the Director of Online Photographs at Sotheby's.com.Daniel Cooney Fine Art opened its office in Williamsburg, Brooklyn in August 2003. In June of 2004, Cooney relocated and opened a beautiful gallery in the Chelsea District of New York City at 511 West 25 Street, #506. The gallery’s goal is to make exceptional photographs and works on paper available to the collecting community. The gallery is committed to showing the best in emerging art and under recognized work by established artists. Melanie Flood is a photographer and curator. After graduating from the School of Visual Arts with a BFA in photography, Melanie became Managing Editor & Associate Art Director of ZINGmagazine, where she produced and directed collaborative curatorial projects with Zac Posen, Karin Davie, and the Donald Judd Foundation. Melanie conceived, curated, developed, and executed two solo curatorial features for the magazine: Todd Hido Roaming and Jenny Holzer Declassified. After leaving ZINGmagazine, Melanie worked as Photo Editor & Portrait Photographer for the New York Observer, managing contributors like James Hamilton & Nina Roberts, and continued to develop her own photography, which she has been doing since she was nine. In the spring of 2008, she founded Melanie Flood Projects, a salon-style space based in her Brooklyn home devoted to showcasing emerging talent in art photography. Melanie Flood Projects was one of the first intimate salon-style alternative galleries to open in New York, and was featured in the New York Times, New York, Paper, Time Out New York, and a number of art blogs. A dedicated collector, Melanie has been recognized as an essential figure in the New York art world whose contributions span from the practical to the ephemeral. Melanie Flood Projects gave many talented artists their first solo shows in New York, including Bradley Peters (a protégé of Gregory Crewdson), Mikael Kennedy (currently represented by Peter Hay Halpert), Erica Allen, and Grace Kim. Melanie has spoken about her work at the International Center for Photography and SVA, and has participated in the photo review boards for Photolucida (PDX), the American Society of Media Photographers, and the Woodstock Center for Photography. Melanie closed the Brooklyn space in 2009, and is currently working on opening a gallery in Portland, Oregon, as well as on producing an artists’ book series. She is also a member of the Young Patron Society at the Portland Museum of Art. Stephen Frailey studied at the San Francisco Art Institute and received his BA from Bennington College. He has had solo exhibitions at 303 Gallery and the Julie Saul Gallery and group exhibitions at the Museum of Modern Art, New York; International Center for Photography, New York; and the National Museum of American Art, Washington D.C. Stephen’s work has been reviewed in the New York Times, Arts Magazine, ARTNews, Art Forum, The Village Voice, and the New Yorker, Portfolios have appeared in Art Forum and the Paris Review. His work is in the collections of The Museum of Fine Art, Houston; The International Center For Photography, New York; and the Princeton University Art Museum. Stephen has received two MacDowell Colony Fellowships, a National Endowment for the Arts Grant and an Aaron Siskind Foundation Grant. He has been a visiting artist at the Donald Judd Foundation and twice been nominated for a Louis Comfort Tiffany Grant. His critical writing on photography have appeared in Art Forum, Print, and Art on Paper. He was the Chair of the Graduate Photography Program at Bard College from 1998 to 2004, and has been the Chair of the Photography Department at the School of Visual Arts in New York since 1998. Heidi Lee is a New York based art advisor with extensive experience in Modern and Contemporary art. She founded Heidi Lee Art Advisory in 2002 providing comprehensive consulting services for corporations, private collectors and estates. Core services include collection management, art acquisitions, sales, exhibition planning and appraisals. HLAA clients have enhanced the value of their collections as well as gain exclusive access to top quality fine art. Ms. Lee advises private wealth clients for JP Morgan Chase, Sotheby's and Christie's auction houses, the Armory Show, America's premiere art fair and others. Ms. Lee holds a master's degree from Christie's Education in Modern Art, Connoisseurship and the Art Market and is a USPAP accredited art appraiser. She worked at VIART Corporation, a leading art consulting firm, where she helped manage art collections for Fortune 500 companies including, Merrill Lynch, Goldman Sachs, Capital Group and Davis Polk. She is a member of the Association of Professional Art Advisors (APAA). Recognized for its excellence in the independent art advisory field, APAA ensures complete impartiality and transparency. Members observe the highest standards of professional conduct, integrity and curatorial competence when advising clients. She is also a member of the Guggenheim's acquisition and contemporary art committees, the New Museum's Contemporary Council, and the Whitney's Patron Circle. Recently, Ms. Lee was re-elected a second term as Chairperson of Christieâ•Ùs Education Alumni Society serving over 600 alumni. Karline Moeller received her degrees from Franklin College Switzerland and New School University in New York. Karline is an independent curator and co-owned Moeller Snow Gallery until the gallery closed in March 2009. Before opening the gallery in New York, Karline worked in the Contemporary Art department at Sotheby’s. She also worked alongside Tim Nye at Nyehaus Gallery in New York for two years. Recently, Karline and Nicola Vassell co-founded Concept V together, an alternative exhibition space and consultancy that offers an array of services in support of any collaboration between art and commerce. In January 2010, Karline and Casey Fremont co-curated a show called "Look Again" at Marlborough Gallery Chelsea. Karline continues to work with and represent artists that she exhibited at Moeller Snow, such as Max Snow, Christopher Brooks, Joseph Heidecker, and Jamie Diamond. Keren Moscovitch is a photographer and visual artist living and working in New York City. She holds an MFA from the School of Visual Arts (SVA) and a BA from Georgetown University. She has been exhibited in several solo shows in commercial and alternative spaces, including Vlepo Gallery (NYC) and (the) Slap-N-Tickle (me) Gallery (Kansas City, MO). Her work has been featured in numerous group exhibitions, both in the US and abroad, including the Art + Commerce Festival of Emerging Photographers, which traveled worldwide throughout 2006, and most recently at Foley and Sasha Wolf Galleries (NYC), SLAG Gallery (NYC), Studio 150 (NYC) and the Kinsey Institute (Bloomington, IN). She has been featured in publications such as Time Out New York, The Kansas City Star, Quest, Visual Arts Journal, Peek, Domino, Zeek, Industry and Vogue Nippon. Collections include The Core Club, The Noble Maritime Museum and the Kinsey Institute. At SVA in New York City, Keren is the Program Coordinator of the Division of Continuing Education as well as the Summer Residency Programs for emerging and mid-career artists and is an adjunct professor in SVA’s BFA Photography Department. She has served on a variety of committees, including ARTWALK benefitting the Coalition for the Homeless, and the Council for the Arts and Humanities of Staten Island. In addition to working with various arts and cultural institutions, she is a private coach for artists in all mediums. Anastasia Rogers is an independent curator and art consultant working in New York City. She graduated from Georgetown University and began work at Sotheby’s NY. Subsequently she began her own projects organizing exhibitions to promote the careers of NY based emerging artists, curating group shows in rotating venues throughout the city. Later she curated a series of solo exhibitions at Mehr Gallery, and most recently produced a show hosted by Art Production Fund featuring both emerging and mid-career artists. She is currently working on an exhibition of young Russian artists, and an exhibition focusing on humor in art. Anastasia’s past experience also includes positions at Gallery Maeght, Paris, Corcoran Gallery, Washington D.C. and Tretyakov Museum, Moscow. She is fluent in Russian and French. Anastasia serves on benefit committees of several arts related organizations, such as NYFA, Coalition for the Homeless/Artwalk and iCI, and was recently appointed co-chair of the P.S.1 Museum Young Collector’s group, the ‘P.S.1 Student Body’. Anastasia Rogers was appointed as the Sales Director of Chelsea Marlborough Gallery in the summer of 2010. 5 years of KiptonART logoKiptonART.com celebrates 5 years Join KiptonARTKiptonART Rising 2011 finalists will be exhibited on October 5, 2010 in New York City.